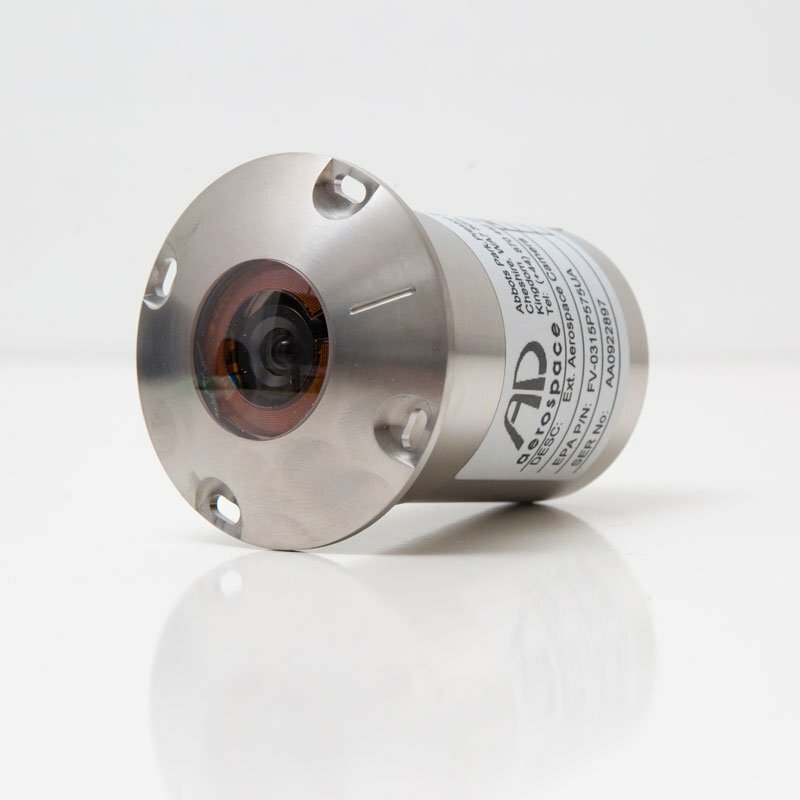 AD Aerospace’s FV-0315 External Aerospace Camera provides quality video images in the harsh environment experienced by the external surfaces of an aircraft. The camera is designed to be used external to an aircraft flying up to 50,000 feet, and is hermetically sealed, and dry nitrogen purged to avoid internal misting and icing. The window is aerodynamically shaped to allow water droplet removal as the aircraft moves in the air stream and has no“edges”to allow water droplets to be trapped. The window is heated with an internally fitted 10W kapton heater, which allows for the outside of the window to be de-misted and de-iced. The design allows for a variety of lens options, to suit most requirements.